If you are looking for a fresh approach to marketing your business, then one method often overlooked is giving away t-shirts. This is definitely an “out of the box” approach that your competitors are probably not using, and when done in the right way, it can be very effective, getting you new customers for months and even years to come. However, it’s not always as straight forward as it sounds, especially if you are a company or brand that people wouldn’t usually wear on a t-shirt. For example, if you are a plumbing company or an accountant then you will always find it challenging to to get “walking billboards” parading your brand and logo on a t-shirt around town, although it is possible. The key is to be creative and come up with t-shirt designs that people actually want to wear. This is where hiring a designer could help, as well as looking at designs from other companies who have had success using this method and also speaking with a custom t-shirt printing company for ideas. So how do you actually give away these t-shirts? Is it a good idea to just simply walk around your local area and hand them out to everyone that you see? Not really, as this isn’t exactly very targeted, and you could just end up giving the t-shirts to people who will never wear them again. The last thing you would ever want is for someone to use your T-shirt as a rag to clean the house, so don’t do that! With this in mind, you need to work smarter, not harder, when looking for ways to give away free t-shirts to promote your business. One proven way that has been used by many is this the world over is to create a holiday sales event at your store, and give away shirts to promote the event. As an example, you could hold a sale for one or two days only and give away free t-shirts to the first 100 or 200 people that turn up to your store. Make sure you mention this in your marketing materials with a picture of the shirt, as this ensures that the highly motivated people who really want to buy will want to turn up at your store early. They might even be queuing outside your front door before you open! Another idea is to partner up with a restaurant or bar in your local area and then hold an event where you put on a variety of activities at the venue. Some of the activities could include a buffet, a raffle, major discounts on a selection of your products, and even face painting for the kids. Of course, make sure that you also give away free t-shirts for the first 100 or 200 people that turn up to the event as an extra incentive to arrive early. 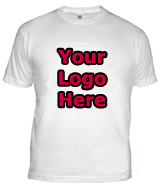 Hopefully, the above information has given you some new ideas on how to market your business by giving away t-shirts. 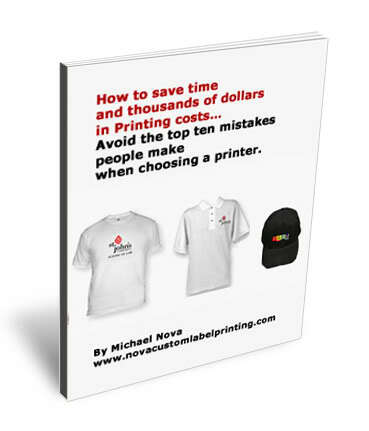 This kind of strategy certainly won’t allow you to double or triple your profits overnight, but when used on a consistent basis, it really does work as a long term strategy when you consider that shirts do last for years, and those walking ads can be seen by thousands PER SHIRT.